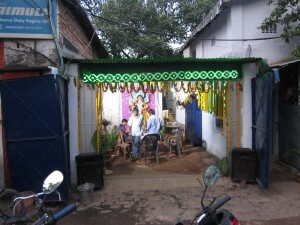 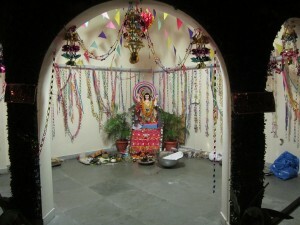 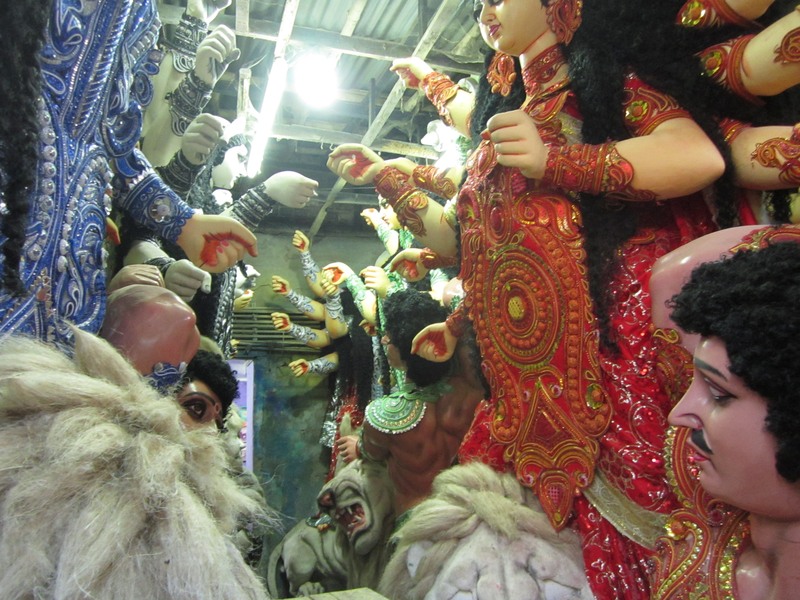 It’s September 17th as well as my fourth visit to the Shovabazar — now Durga Puja is less than two weeks away! 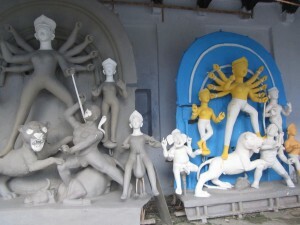 Dilipda’s sculpture has fully dried, been painted with a white undercoat, and now the application of color on the figures, as well as additional painted imagery, has begun. 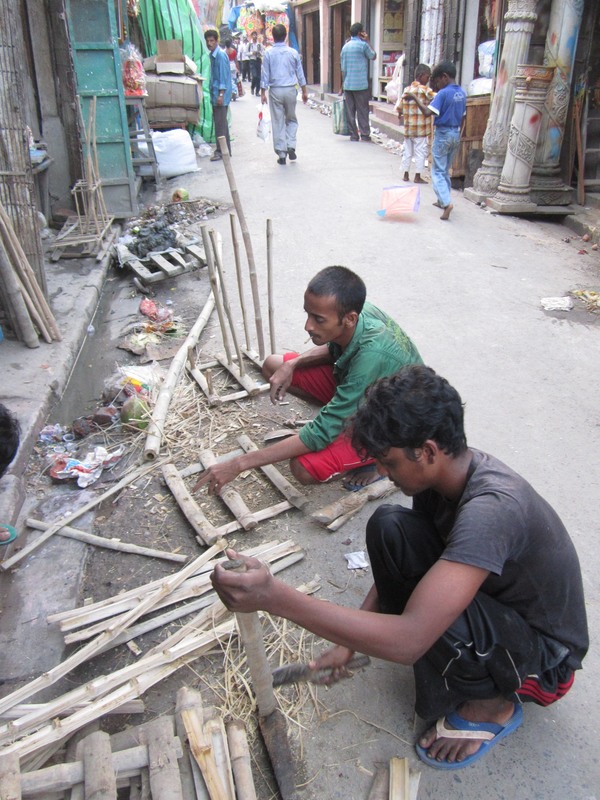 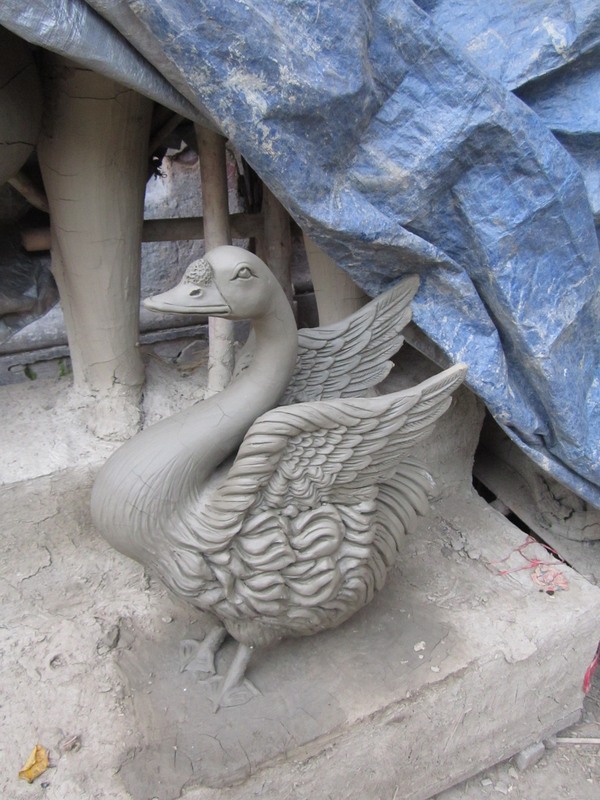 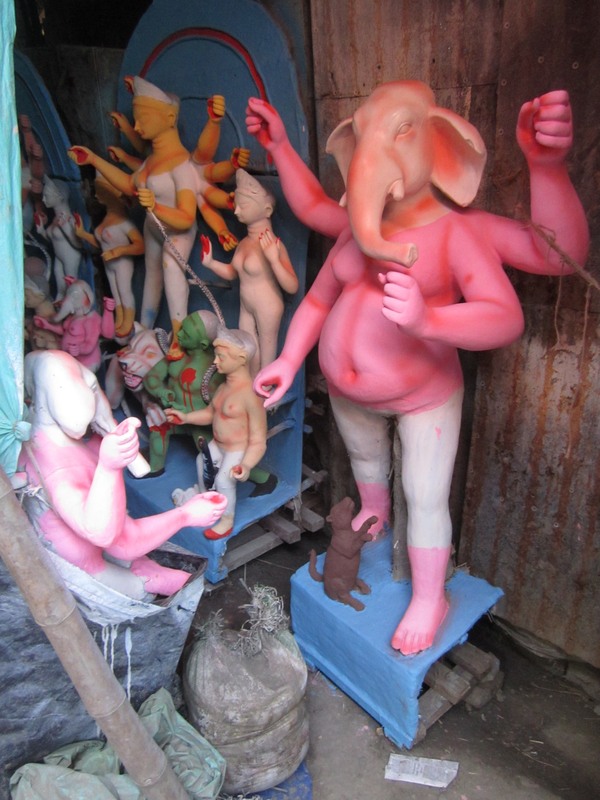 Heading out to other workshops of Kumartuli, I again saw images in every stage of creation, from straw and bamboo beginnings to the the finishing stages of paint, clothing, jewels, and other accessories. 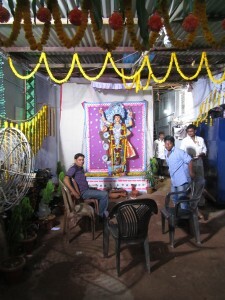 Today is also Vishwakarma Day. Vishwakarma is the god of engineering and tools, He’s also called the divine architect or divine carpenter, and his day of reverence is observed in a number of Indian states, including West Bengal, by engineers, architects, mechanics, artisans, craftspeople, factory workers, etc. 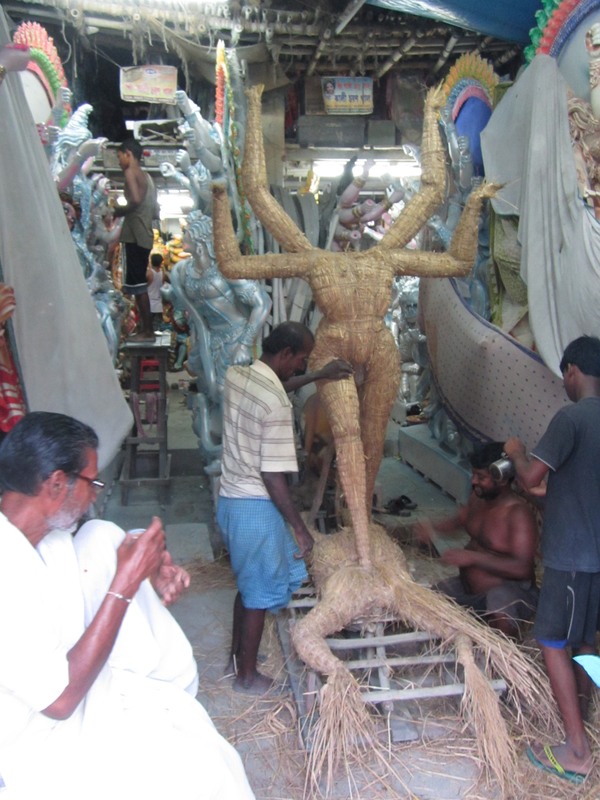 His devotees pray for success, increased productivity and for the smooth workings of their machinery/technical processes; many also worship the tools of their respective crafts. 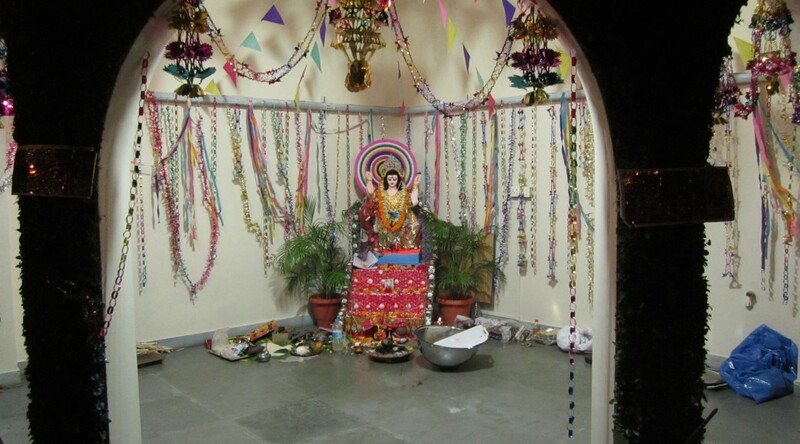 The Mahabharata, one of the two great Sanskrit epic poems of ancient India, describes Vishwakarma as wearing a crown and loads of gold jewelry, and holding a water-pot, a book, a noose and craftsman’s tools in his four hands. 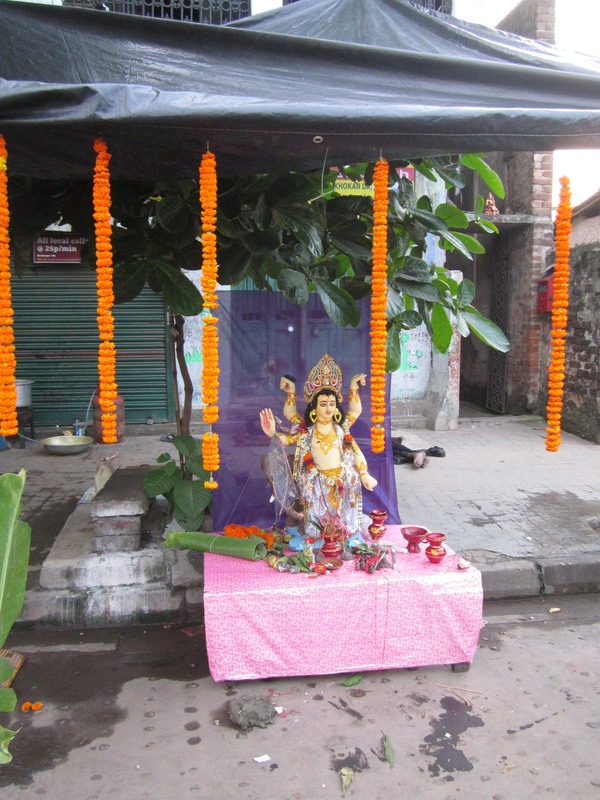 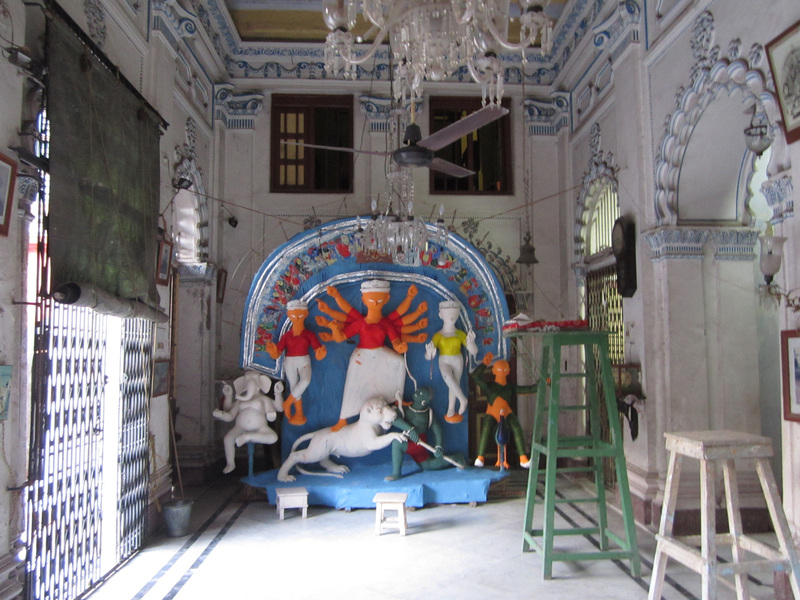 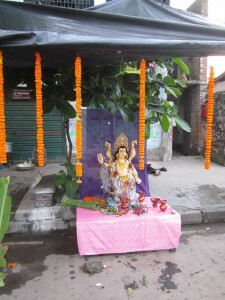 As I moved through Kumartuli today, I saw many shrines with statues and pictures of Vishwakarma. A few examples follow. 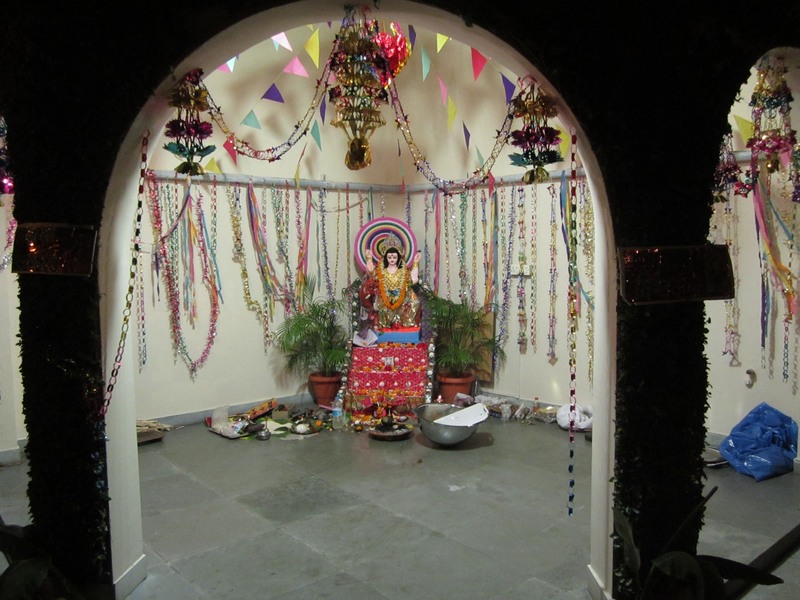 I also enjoyed seeing the shrine below, which was created by the engineers and mechanics working at the United States Consulate.